Game Seven Marketing is one of the top sports marketing firms in the country. One of their clients is a major athletic shoe and clothing manufacturer. Once the NBA All Star Jam was announced in Houston, Game Seven needed a great production company – fast! The staff of In Depth Events was first on the list and responded by turning the ice rink in Houston’s Galleria Mall into a marketing feeding frenzy! 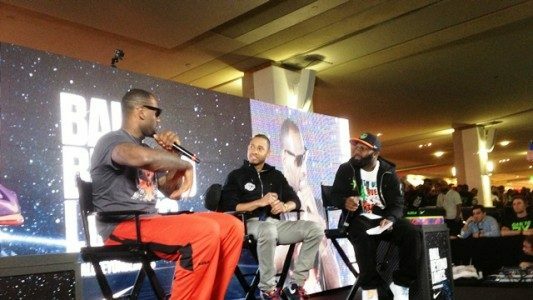 For four days, sports and entertainment celebrities did live interviews on stage in from of hundreds of fans. The event needed staging, audio, lighting and video requirements for this marketing event, including a live IMAG feed on to a custom sized LED video wall. This event generated hundreds of favorable responses from attendees and more importantly, got the product into the hands of the consumer. Is your client looking to do an activation at a live mall event? Contact the experts at In Depth Events! We’ve done plenty of mall events – but the MundoFox event is one of the best we’ve ever done! Kevin Finke with Willow was referred to our company through a friend in LA. 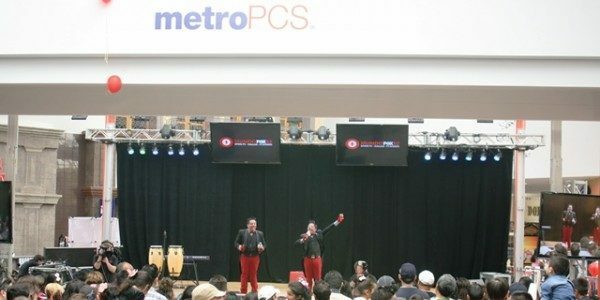 Once he explained the project, our technicians got started on providing the perfect live mall event activation for MundoFox in the Dallas/Ft Worth market. It was an absolute pleasure to work alongside you to create such a flawless event. The final result was a faux live broadcast involving game show format events, a clown show for the kids and a live band! Several personalities from the station made appearances on stage and with LCD monitors, full PA, lighting and IMAG, the crowd got a great afternoon with amazing talent. Hopefully this blog has been informative for our live mall event planner clients! For more information on In Depth Events and our event production capabilities, please Ask Us a Question today. We look forward to hearing from you and working with you on your event! Liberman Broadcasting has been a valued concert production client for several years. We’ve been pleased to handle full concert production services for bi-annual concerts in both the Dallas and Houston markets with attendance topping 20,000 people per event. This was a wonderful added touch for my client and really brought the energy of the event to its peak. A great way to brand the product, giving the crowd a feeling of excitement by using the confetti to drive it home. The Dallas team contacted us and let us know that they were wanting to do something special for Pepsi – a new title sponsor for the spring concert production event. Our team of experts listened carefully and, collaborating with Liberman staff, came up with two ideas that were utilized for the event. The first concept was a ‘Best Seat in the House’ riser – a covered VIP riser 20 feet off stage right behind the concert barricade, where lucky winners could watch the show up close (and receive Pepsi giveaways). However, the most visible addition to the show was a surprise to the sponsors! We worked closely together with Liberman Broadcasting to orchestrate a confetti streamer blast over the crowd directly before the headlining act took the stage. The effect electrified the crowd, provided a perfect entry for the headlining act and delighted the Pepsi sponsorship team! Want to see more? We got the whole thing on video!